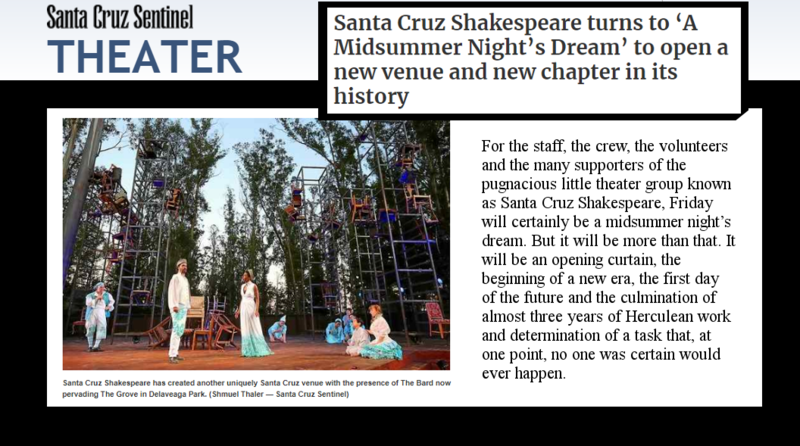 "For the staff, the crew, the volunteers and the many supporters of the pugnacious little theater group known as Santa Cruz Shakespeare, Friday will certainly be a midsummer night’s dream. But it will be more than that. It will be an opening curtain, the beginning of a new era, the first day of the future and the culmination of almost three years of Herculean work and determination of a task that, at one point, no one was certain would ever happen." 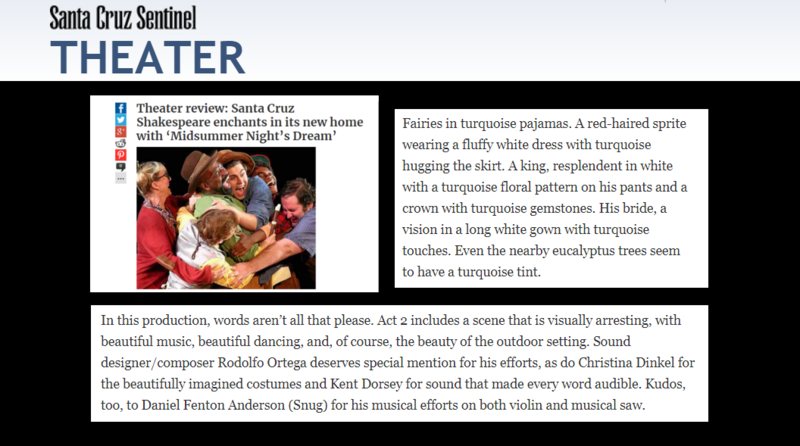 "Fairies in turquoise pajamas. A red-haired sprite wearing a fluffy white dress with turquoise hugging the skirt. A king, resplendent in white with a turquoise floral pattern on his pants and a crown with turquoise gemstones. His bride, a vision in a long white gown with turquoise touches. 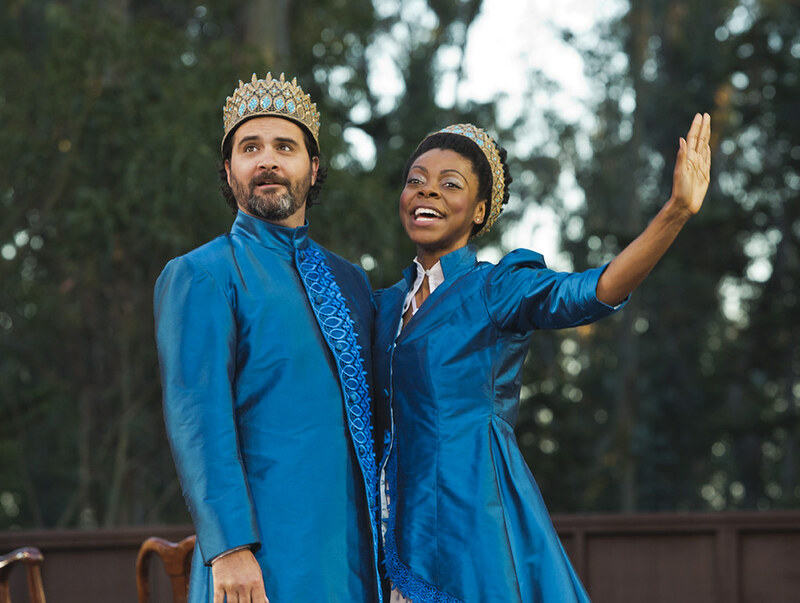 Even the nearby eucalyptus trees seem to have a turquoise tint... as do Christina Dinkel for the beautifully imagined costumes"